Product prices and availability are accurate as of 2019-04-12 18:23:38 EDT and are subject to change. Any price and availability information displayed on http://www.amazon.com/ at the time of purchase will apply to the purchase of this product. Initially designed as a fast medium bomber, the Junkers Ju 88 was also used as a Zerstörer heavy fighter by the Luftwaffe. 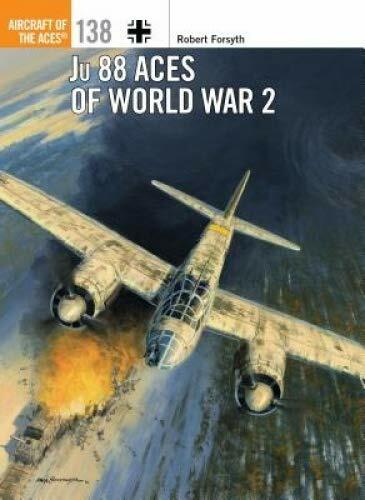 It saw its combat debut over Poland in 1939, and heavy fighter variants saw action on every front up to VE Day. 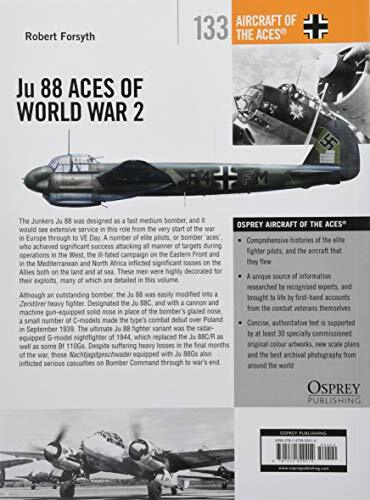 The ultimate Ju 88 fighter variant was the G-model of 1944, which boasted a FuG 220 or 227 radar, an astounding array of cannon and machine gun armament, and advanced Junkers Jumo or BMW engines. A dedicated nightfighter, the first Ju 88G-1s entered service with the Nachtjagd in the summer of 1944, replacing Ju 88C/Rs as well as some Bf 110Gs. 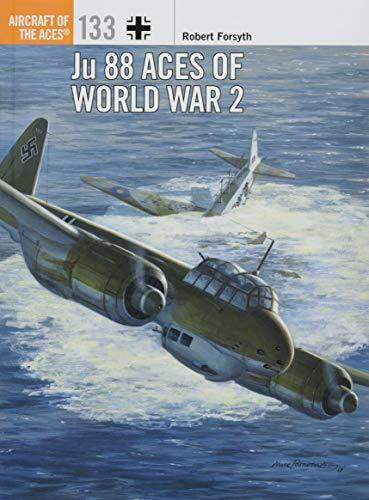 Despite suffering heavy losses in the final months of the war, Ju 88Gs also inflicted serious casualties on Bomber Command right up to VE Day. 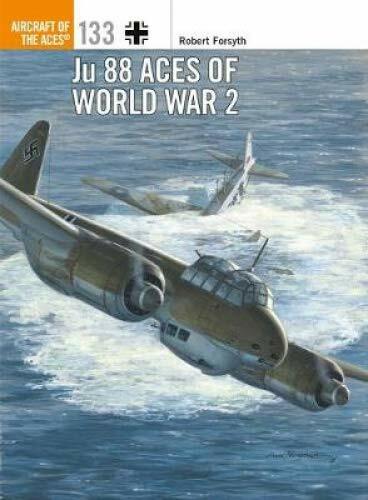 Illustrated with original artwork, Ju 88 Aces of World War 2 tells the story of the aces who menaced Allied aircraft and shipping throughout the war, whether patrolling over the Bay of Biscay, to the Arctic circle opposing Allied convoys and, most successfully, as radar-equipped nightfighters engaging RAF heavy bombers during defense of the Reich operations from late 1941.